Are you shopping for a special gift for an 8 year old girl? Well, look no further! Here is my roundup of the Best 25 Gifts for an 8 year old girl that is sure to make her day! The dreaded dab! Help your girl have the coolest shirt in school while celebrating her birth year. 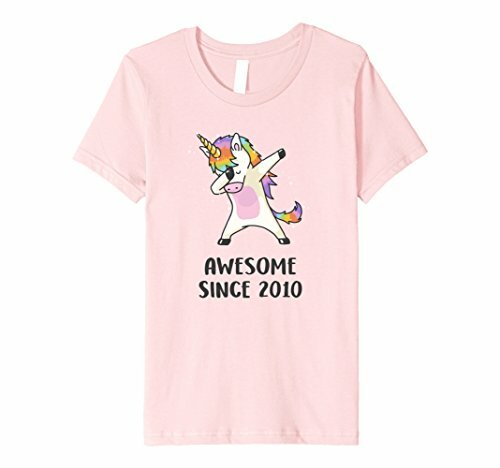 This dabbing unicorn is sure to be all the rage among her friends. I promise she will feel like a superstar 8 year old! Are you looking to make her 8th birthday super special? 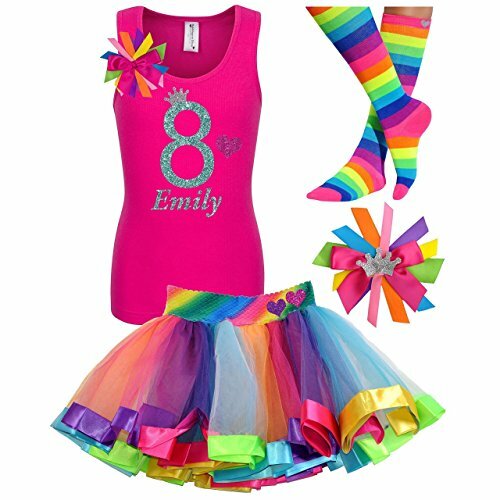 Easily done with this custom rainbow tutu party outfit that will make her the star of the event! I love that their name can be added to the shirt to make it even more special. This comes with the following rainbow colored items – knee high socks, tutu skirt, shirt with their name, hair clip. 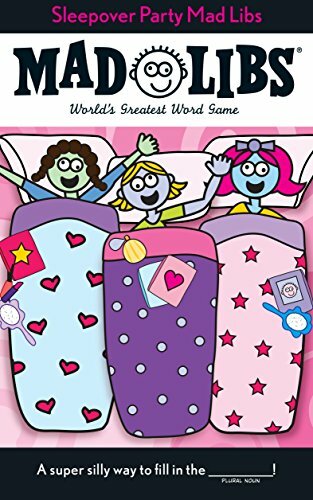 Mad Libs are a hilarious way to spend a sleepover with friends. Fill in the blanks with whatever you and your friends can think of for advectives, verbs and nouns and watch hilarity ensue. This would be a great activity for a birthday party. 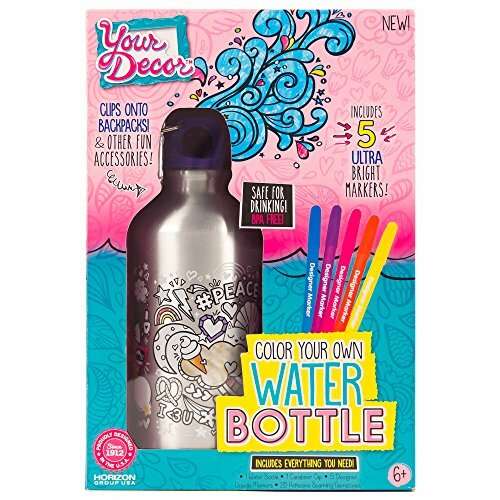 This water bottle kit lets your child decorate her own lightweight aluminum water bottle with colorful designs. The water bottle also comes with a clip to clip onto her backpack, etc. The design is etched into the metal and can be colored with the included markers and decorated with the included gemstones. This would be a great project during a birthday party or a sleepover, where friends can help decorate it. These could be a great companion for the Nancy Drew book series. 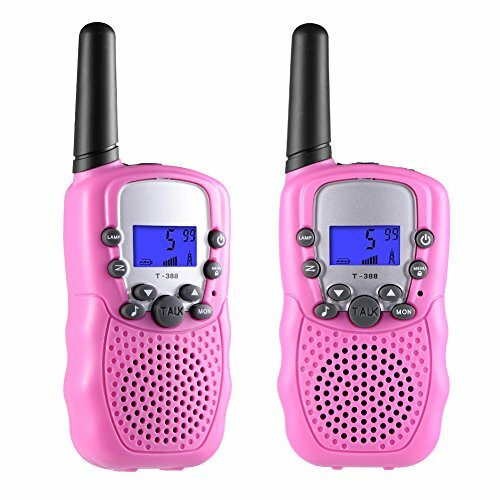 Your daughter and her friends could solve their own mysteries with these Walkie Talkies as tools. A generous 3 mile range should be plenty to accommodate most adventures. 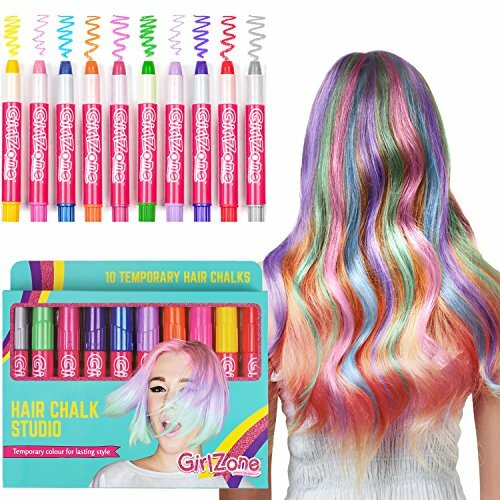 Cool and crazy hair colors are all the rage and this set can satisfy with color without the permanence. Ten colors that go on easy but wash off with shampoo. The color can be set to last slightly longer with a hair straightener. As a bonus, these pens can also be used for face painting. This is one of my favorite items to gift to my nieces and acquaintances. 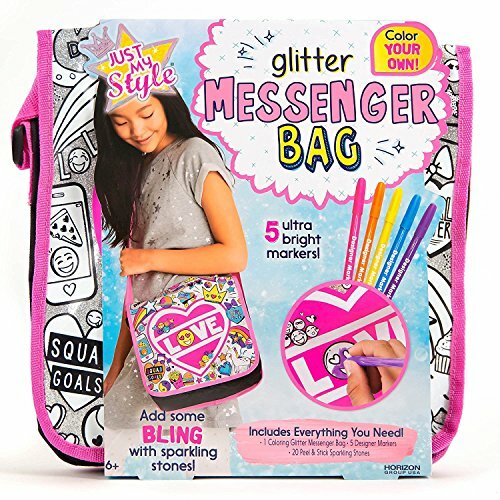 Young girls love to personalize items with their own colors and glitter. And it’s a very practical piece, which they can use to carry around personal items or even at school. This would also be a great activity at a birthday party or a sleepover, where friends can help decorate the bag. Many young girls like to play around with nail polish and what could be better than nail polish that glows in the dark! 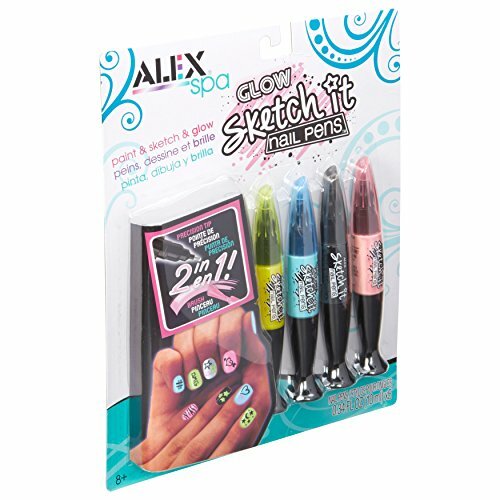 This set comes with 5 colors, and multiple tips – one for brushing on the polish and one for precise detail work. This set is sure to be a hit with your birthday girl! This set will make 4 flower crowns with colorful paper flowers. 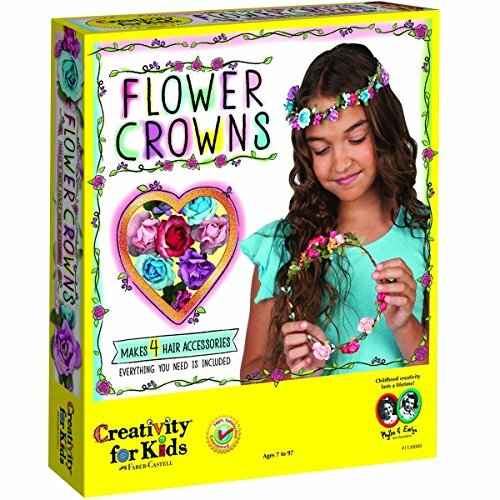 Girls of all ages would enjoy this activity that is full of creative input. Everything is included, such as the paper flowers, ribbon, fabric leaves and even glitter for a finishing touch. This is an activity that would be appropriate for a gathering of girls or a solo project. Eight year old girls I know love to make all sorts of crafty things, and these bracelets are no different. 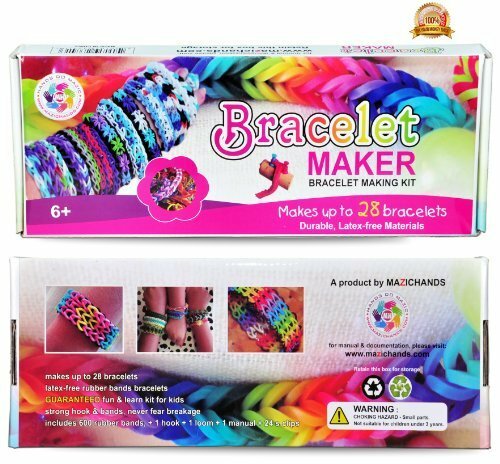 Make up to 28 bracelets with this set which includes 600 bands of different colors that are linked together using a durable loom. Perfect for birthday party activities or Christmas morning! 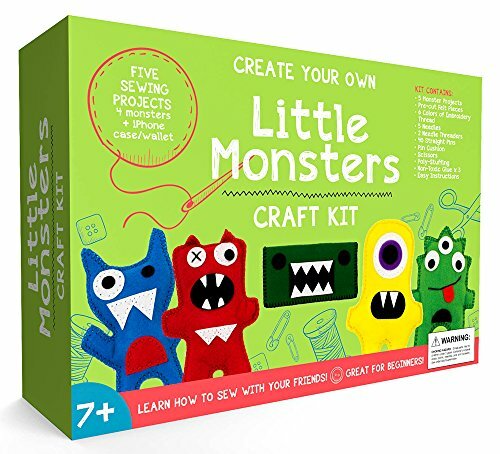 My kids love to learn new skills such as sewing, and this cute kit will have them sewing little monsters in no time. The kit includes pre-cut shapes with pre-punched holes so all you need to do is assemble them with a little creativity. Each little monster can be personalized with mixing and matching eyes and mouths. The kit comes with 5 sewing needles so many kids can be working on their little monsters at the same time. You’ve no doubt seen the emoji pillows at the stores, well now you can make your own! 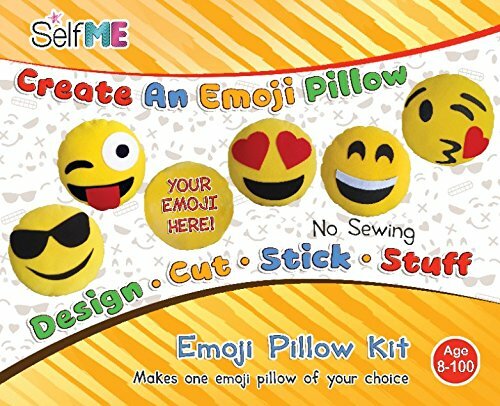 This kit comes with one pillow, different colors fleece for cutting out faces of your choice and stuffing. 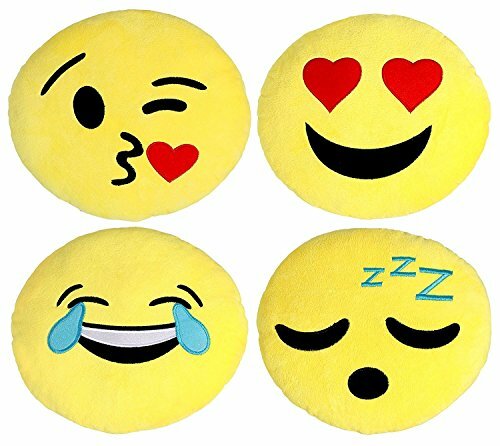 Or if your girl is not into sewing but loves the emoji faces, just grab her this set of 4 emoji faces. Each pillow is a good size (12″) and has high quality embroidery. They are a cozy, comfy and cute addition to any girl’s bedroom. Eight year old girls are getting to the age where they might enjoy writing or doodling in a journal, and practicing their writing skills at the same time. And of course a good journal HAS to have a lock on it. 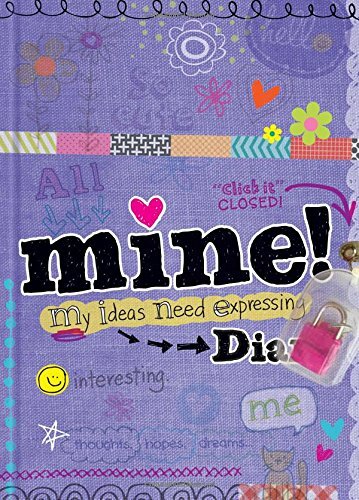 This cute journal is lockable with a sparkly pink lock. It has opportunities to doodle, blank pages for writing about anything and prompts for writing as well, such as “My best day ever..”. 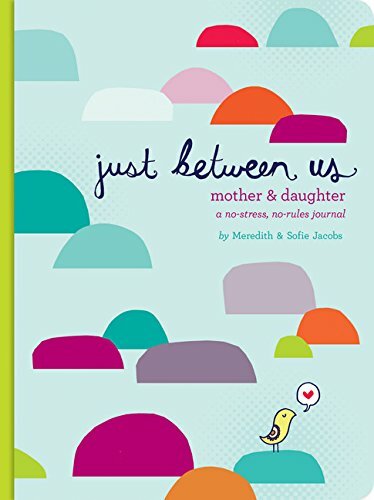 For a slightly different take on a typical journal, this is a good way to strengthen your connection with your daughter. In this journal, you both can write things down to each other and pass it back and forth. Some things are easier written down than said and this is the perfect medium for that. Get to know each other better while helping her practice her writing skills. Scratch art is so cool! 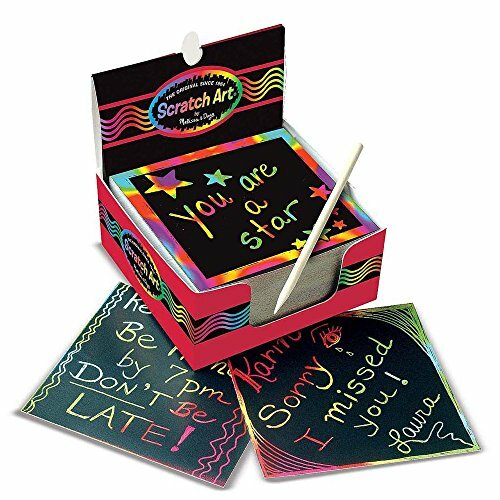 Your girl will love leaving personalized notes in cool rainbow colors on these nifty scratch art notes. I love that it will encourage practicing their penmanship as well. 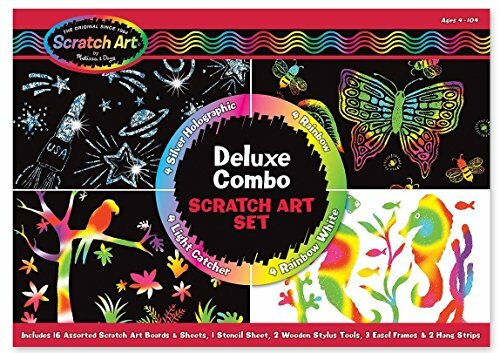 If your girl loves scratch art, she might also enjoy this Deluxe Scratch Art set. It comes with 16 boards, 2 stylus tools and several frames to frame her special creations. I would enjoy this set myself, so I’m certain that most girls of any age would enjoy it as well. 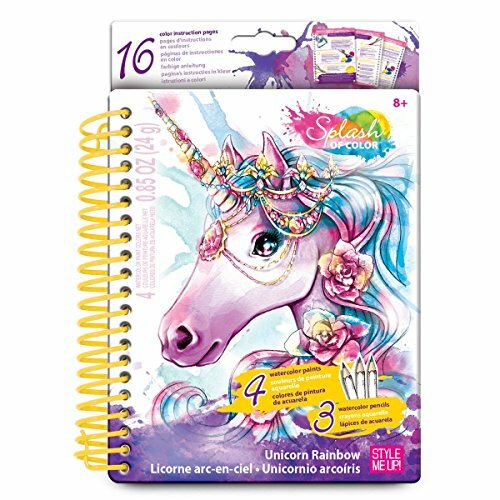 If you have a budding artist on your hands that is into unicorns, check out this unicorn-themed sketch book. It has a watercolor guide to help them learn techniques and outlines of unicorns to try their hand at them. This sketch book also includes fun stickers to really pretty up those unicorns after they are painted. If your girl is into unicorns at all, she would love this fun activity. If your girl enjoys drawing or coloring of any sort, this Portable Art Studio is the perfect addition to her collection. Great for taking with her to a friend’s house or grandmas, or the car. 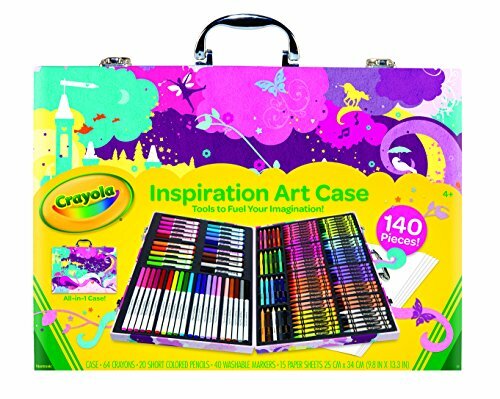 It has a full set of 64 crayons, 20 pencils, 40 markers, 15 sheets of paper and a sturdy case to carry it all around. You cannot lose with this set! 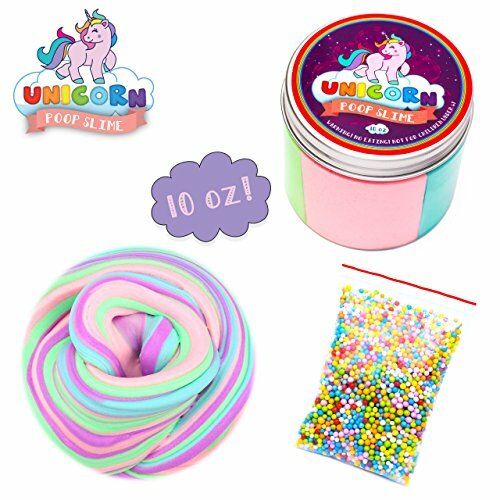 Slime is all the rage and this unicorn slime will be a perfect addition to the gift bag. Complete with beads, this fluffy slime kit is nontoxic and made with natural resins. It’s the perfect addition to a unicorn themed birthday party! This cute bracelet would be a gift she could treasure and remind her of her special day. Features 5 different charms, including the number “8”. The bracelet itself is silver plated. Bracelet comes in a velvet gift box for easy gifting. If you’re looking to inspire your girl, this book can help you achieve that. 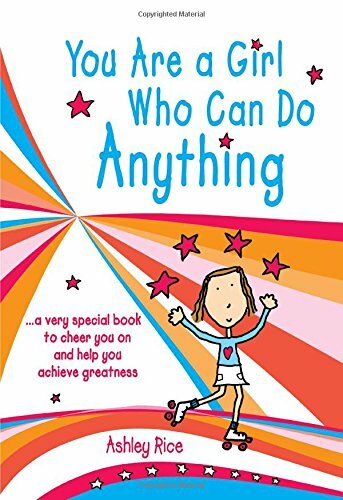 The uplifting words in this book will help give your girls wings and make her feel like she can accomplish anything! This would be a great inspiration to any girl, especially as they grow up and face pressures at school and among peers. It also comes in calendar form, which could be a practical gift also. Is your girl interested in detective stories? 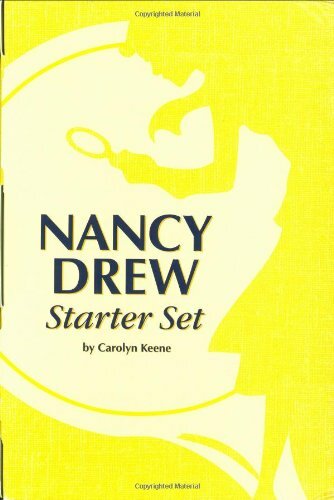 Get her started on the right foot with the Nancy Drew Starter set. 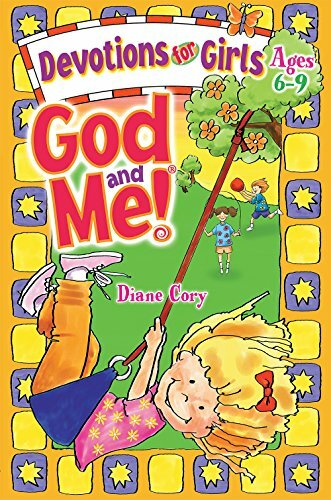 A favorite of young girls for the last few decades, this timeless series will get them reading and learning to reason. Help your girl deepen her relationship with God as she grows with this devotional guide. Age appropriate and full of questions to spur conversations. 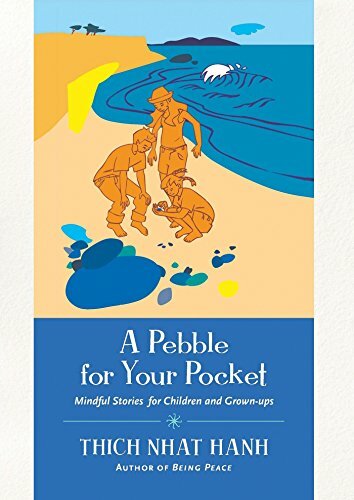 An alternative to help your child grow in spirituality would be this collection of stories from Thich Nhat Hanh, a Buddhist teacher. Drawing on Buddhist parables and his own life experiences, he shows valuable lessons in mindfulness and life in general. Great for children from 8 to adults, so it would be great for reading together and learning together. I'm a mom of three boys and enjoy researching just about everything, especially when it comes to picking the best anything to buy for my babies.